Taipei, Aug. 1 (CNA) Taiwan has lodged a strong protest over Japan's announcement to name five uninhabited islands and adding them to a disputed chain in the East China Sea. Japan's improper move on the disputed Diaoyutais (called Senkaku Islands in Japan) is "illegal and invalid" and will not undermine the Republic of China's claim of sovereignty over the island group, the Ministry of Foreign Affairs said in a statement. The ministry was responding to a Japanese media report saying that the five islands were among 158 uninhabited islands officially named Friday as Japan steps up its protection and control of border islands and the waters around them. 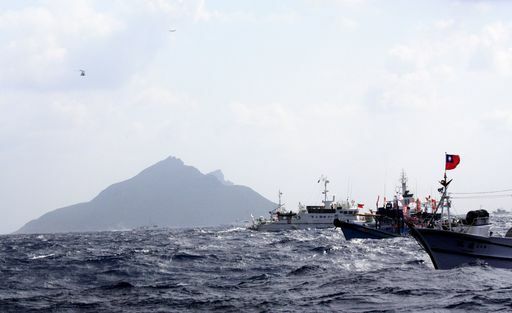 The ministry said the ROC (Taiwan) government had lodged strong protests in the past when the Japanese government named uninhabited islands around the Diaoyutais, and it stressed that Japan's unilateral move this time was "by no means acceptable." It reaffirmed the government's longstanding stance that the Diaoyutais are the inherent land of the ROC and called on Japan to exercise restraint so as not to hurt bilateral relations. The Diaoyutai Islands, rich in maritime and mineral sources, are located some 100 nautical miles northeast of Taiwan. The island group has been under Japan's administrative control since 1972, but are also claimed by Taiwan and China.